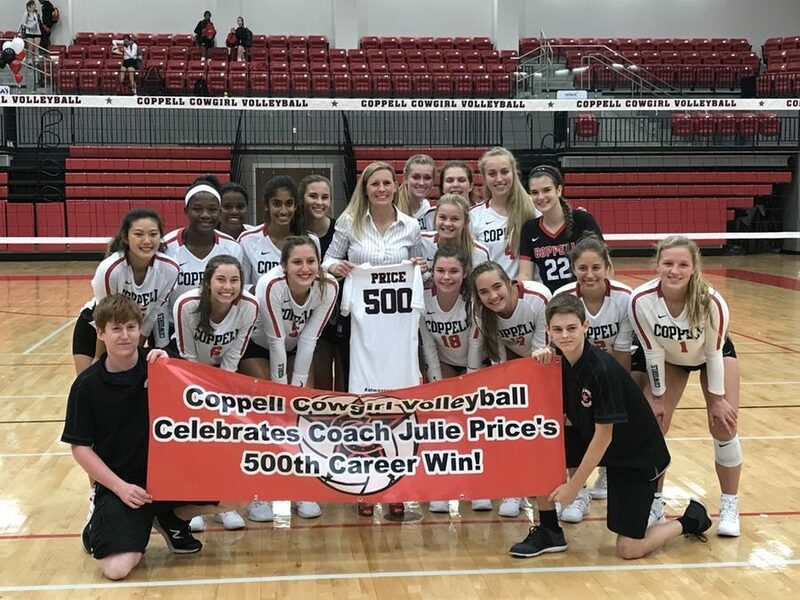 Coppell volleyball coach Julie Price celebrates her 500th career win, with her team. The Cowgirls swept the top-ranked Byron Nelson 25-16, 25-20, 25-18 on Aug. 28. The Coppell volleyball team had swept top-ranked Byron Nelson on Aug. 28, but this was not the most significant accomplishment of the night. Cowgirls coach Julie Price had passed a milestone in her coaching history as she had her 500th win as a head coach. For Price, volleyball had started long before she became the head coach for Coppell. Price had started her career as a freshmen coach at Azle High School and was later promoted to head coach. After four years, she was the Stephenville freshmen coach for two years. 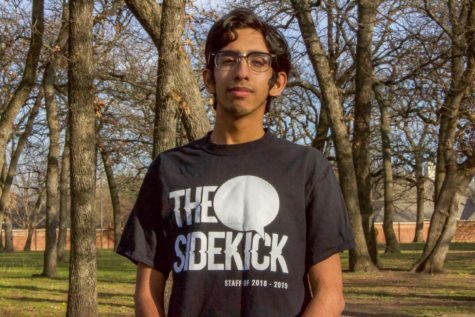 Along with three years at Lake Travis where she was able to take her team to two state tournaments, and in her last year was rewarded with a state championship. In 2011, Price came to Coppell High School as the girls athletic coordinator and head volleyball coach. In her first year, she was awarded the ESPN’s High School Volleyball Coach of the Year and won the Class 5A volleyball state championship for the first time in school history. Although Price has been successful on the court, she has also been able to inspire and help the players and coaches she has worked with. Price’s work ethic is something that does not go unnoticed by her students. With a winning mentality, it is evident that Price is pushing her students to their full potential, building a good work ethic in the process.